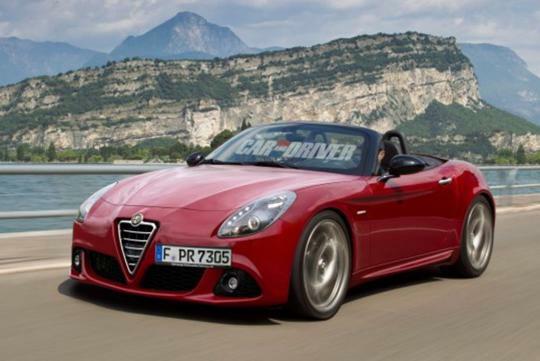 Fresh details have emerged on the 2014 Mazda MX-5 and its sister car, the Alfa Romeo Spider. Although an agreement has been reached for Mazda to build the Alfa Romeo roadster on the next MX-5 platform, both cars will be offered with its own set of engines. Mazda plans to fit the upcoming MX-5 with a new naturally aspirated 1.6-litre SkyACTIV engine with an output of approximately 130bhp. Mazda is insistent that the new MX-5 will not go the force-fed route although there were turbocharged versions of previous generation MX-5. For the Spider, it will probably use Alfa's turbocharged 1.4-litre 'TB' engine rated at around 120bhp. The more powerful 1750 TBi may also be offered with output of up to 296bhp. Both cars will probably come fitted with a six-speed manual gearbox as standard but a six-speed automatic with steering wheel-mounted paddle shifters could also be offered. 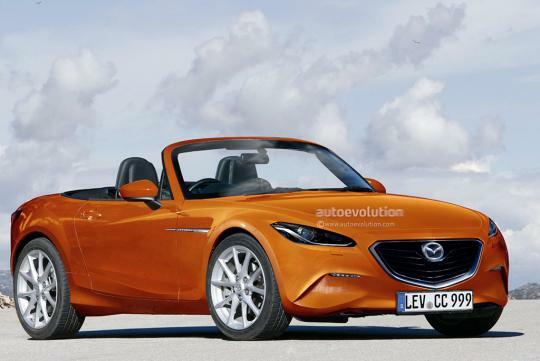 Mazda intends to keep the size of the new MX-5 the same as the original version. New material and design will aid in the weight reduction while meeting the current crash regulations. The Hiroshima-based automaker hopes to achieve a curb weight of just 800kg. Most important is,it MUST be Rear wheel drive.